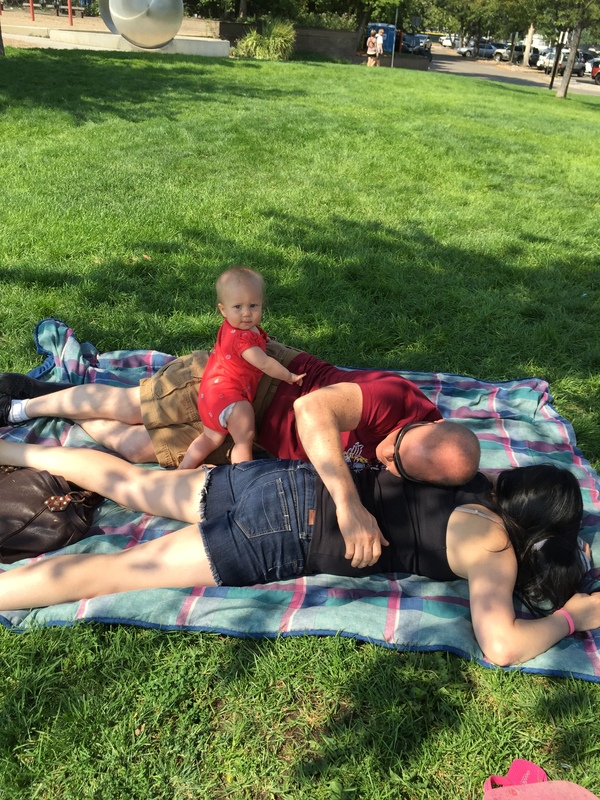 Parenting: Month 12 | Team Alzen! Well, we survived the first year, and so did the kiddo. She’s so fun and sweet, curious and adventurous, cute, and silly. We’re currently in the throes of transitioning to one nap. That’s pretty not cool, but I figure sleep will just always be a thing until she’s a bit older. She still sleeps through the night, but gets up way too early. I’m rather fearful of daylight savings time in November. I still get up at 4:30 every morning and work for as long as I can. Sometimes it’s 45 minutes. Other times it’s 2 hours. Thankfully, she’s a pretty decent independent player, so I can get a good amount of work done in between meals, the nap, and playing. Despite the sleep issues, she’s just the best. She loves her childcare, which is wonderful. From the very beginning, she’s gone to the ladies there with little to no issue, and the reports are all great. She seems to truly enjoy being there. The days off have been wonderful for me. I am able to get so much more focused work done in addition to attending meetings and class. I’m so happy with how things are going. There are still hard days and moments, but overall, I’m loving this season.